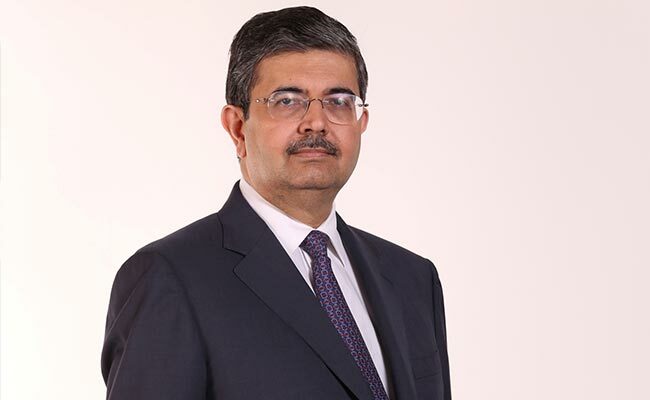 India needs to understand the subtle difference between sales and marketing, and present the India story accordingly while positioning itself in the role of a statesman, says banker Uday Kotak. It is a very big opportunity for India to demonstrate the new India we are building, says Mr Kotak. Davos: As the world leaders await to hear Prime Minister Narendra Modi's vision for India's engagement with the world, Indian CEOs today made a strong pitch for a statesman like position for the country to counter the protectionism and domestic rhetoric likely to be presented by countries like the US. Eminent banker Uday Kotak, a Davos veteran who has been attending the World Economic Forum Annual Meeting in this Swiss ski resort town for years, said India needs to understand the subtle difference between sales and marketing, and present the India story accordingly while positioning itself in the role of a statesman. Spicejet CEO Ajay Singh, who has himself steered a major turnaround in a sector like aviation, said India has a great story to tell at Davos and there can be no one better than Prime Minister Modi to tell this story. Top banker Chanda Kochhar of ICICI Bank, who has also been a regular here, said the Indian economy is seeing broad-based improvement across several sectors and is on track for a robust growth that can be tapped by one and all. Speaking to PTI, a number of Indian CEOs present here said the global community is waiting to hear from Prime Minister Modi and his speech is generating even more interest because the US president is also likely to come later at this summit with his America First pitch and how he has lowered the corporate tax rates and made the American corporations bring back jobs and profits from abroad to the US. Modi will deliver the keynote speech at the plenary session of the WEF tomorrow. Before his departure from India, Modi had said he will share his vision for India's future engagements with international community in Davos, and will seek "serious attention" of world leaders on existing and emerging challenges to the contemporary global systems. "The existing and emerging challenges to the contemporary international system and global governance architecture deserve serious attention of leaders, governments, policy makers, corporates and civil societies around the world," he tweeted. "I look forward to my first visit to the World Economic Forum at Davos, at the invitation of India's good friend and Founder of the WEF, Professor Klaus Schwab," he said, while describing the theme of the forum, 'Creating a Shared Future in a Fractured World' as "both thoughtful and apt". The comments assume significance as several leaders are expected to talk about various risks facing the world, including those from economic protectionism and differences between various world powers. The Summit is also being attended by German Chancellor Angela Merkel, French President Emmanuel Macron and UK Prime Minister Theresa May, among other leaders. Spicejet's Singh said Modi has a great story to tell about significant reforms undertaken in India and even a greater story about 1.4 billion Indians, a young population and a massive market for the world. "When we saw Chinese premier Xi Jinping here last year, there was a lot of focus on China and it is natural that there would be a lot of focus on India this time," Singh said. Singh said he and all other Indian CEOs are already seeing overflowing meeting requests and there is certainly a lot of interest in India this time. In the largest ever Indian presence in the 48-year history of WEF summit in this Swiss ski resort town, more than 130 Indian CEOs are present along with over 2,000 business leaders and 70 heads of states and governments. Besides, several other leaders from politics, business, academia, art, culture and civil society are also present at the event which opens today and will close on Friday. Pitching for a nuanced message here at WEF to present India as an open economy that cares for the interest of domestic as well as global audience, Kotak said, "We need to position ourselves at this forum as a statesman and not just a salesman." He also said it is a very big opportunity for India to demonstrate the new India we are building.